St. Patrick’s Day is one of my FAVORITE holidays! It’s so much fun incorporating it into family activities and, of course, food! 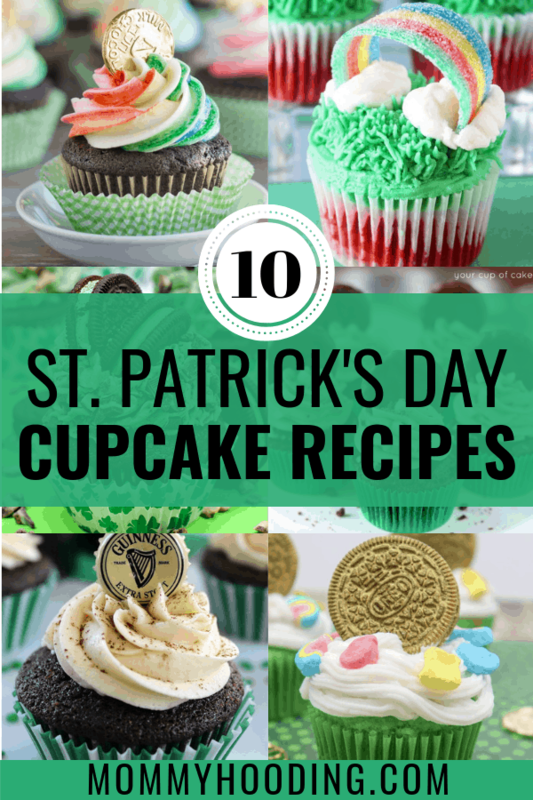 I’m always on the lookout for St. Patrick’s Day cupcake recipes and this year I’ve rounded up 10 amazing recipes that are a must-try! Enjoy! Two words. Mint. Oreos. 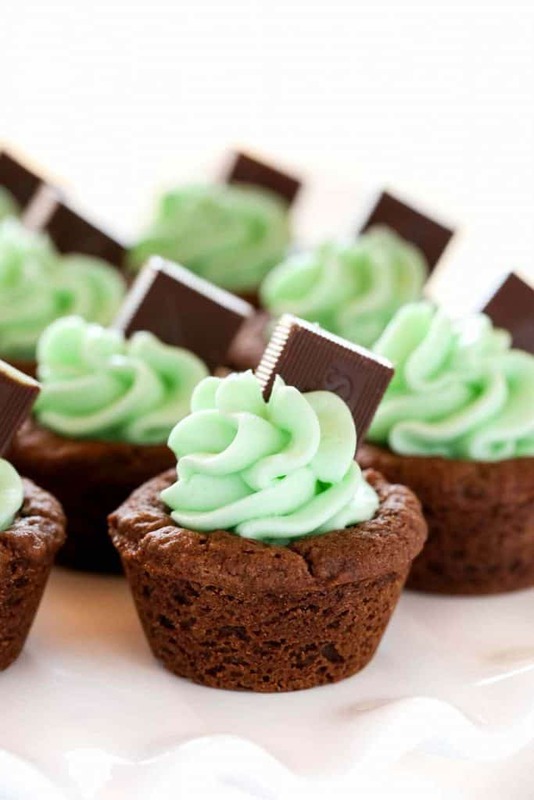 This is an absolute must-bake St. Paddy’s cupcake recipe! It literally tastes JUST like mint oreos. This recipe took my love (actually, obsession) with Thin Minto Girl Scout cookies to a whole other level! 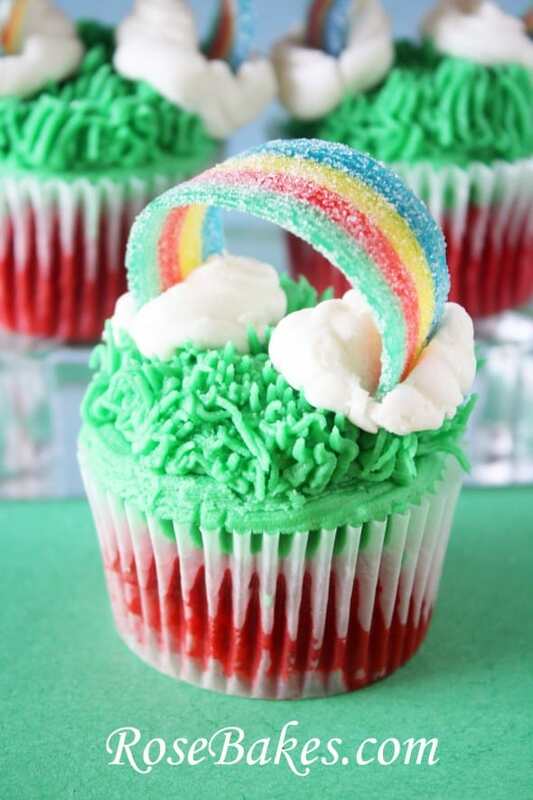 I love how the recipe creator for this St. Patrick’s cupcake went with the “pot of gold” theme. 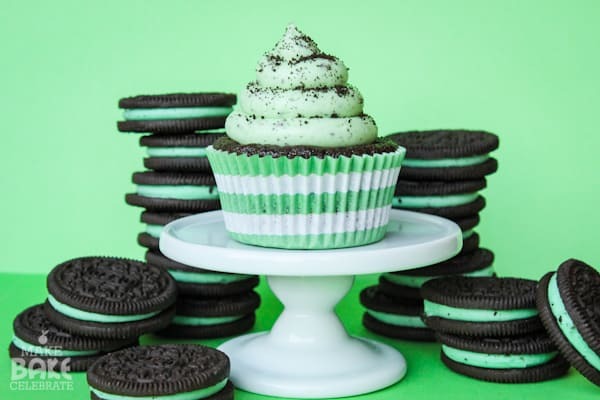 We have another twist on the mint Oreo cupcakes with delicious toppings added on top of the cupcake. 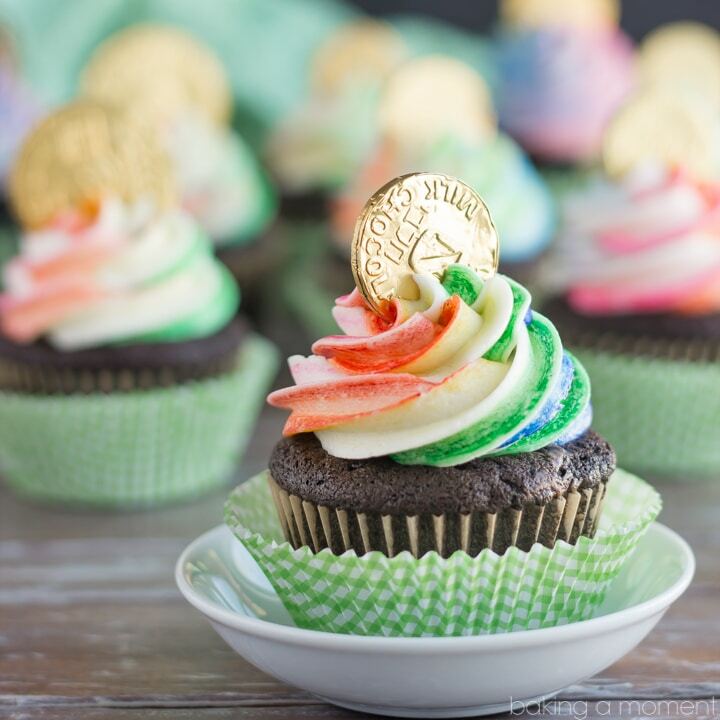 We have another “pot of gold” themed cupcake. I love how the recipe creator added a vanilla Oreo as the piece of gold and a few Lucky Charm marshmallows. So creative! 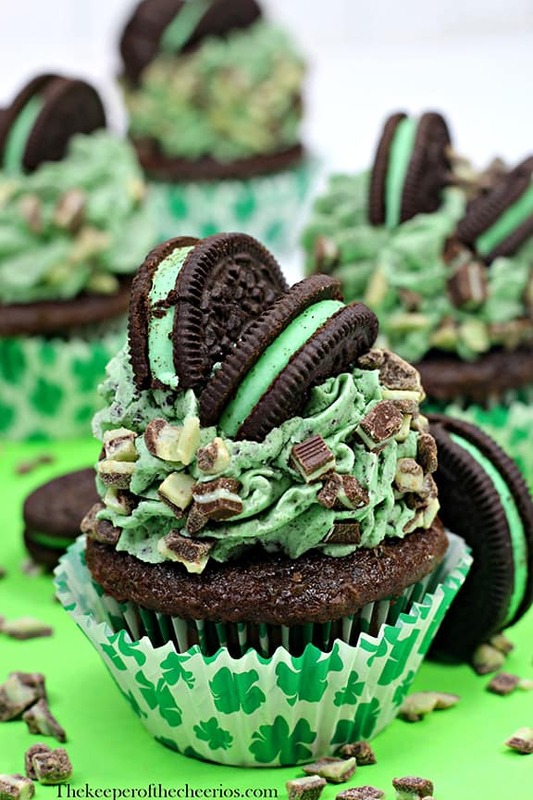 I had to add at least one adult St. Patrick’s Day cupcake to the list! 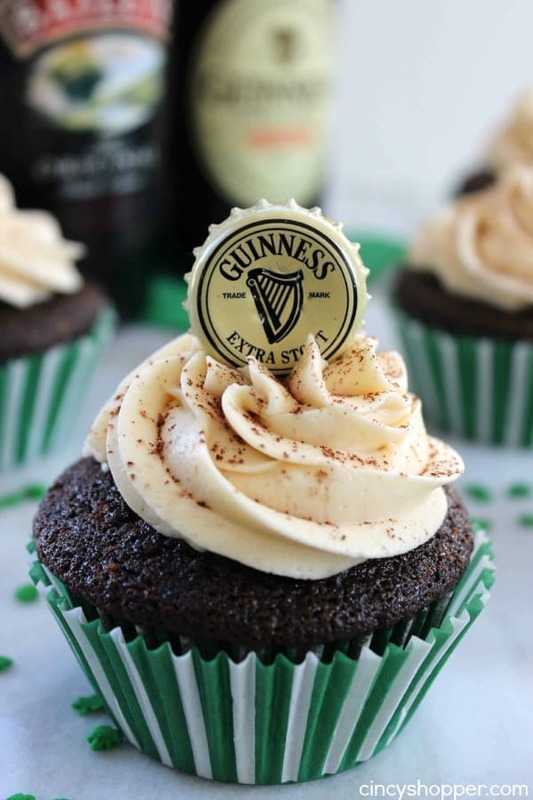 Guinness and Baileys – need I say more? 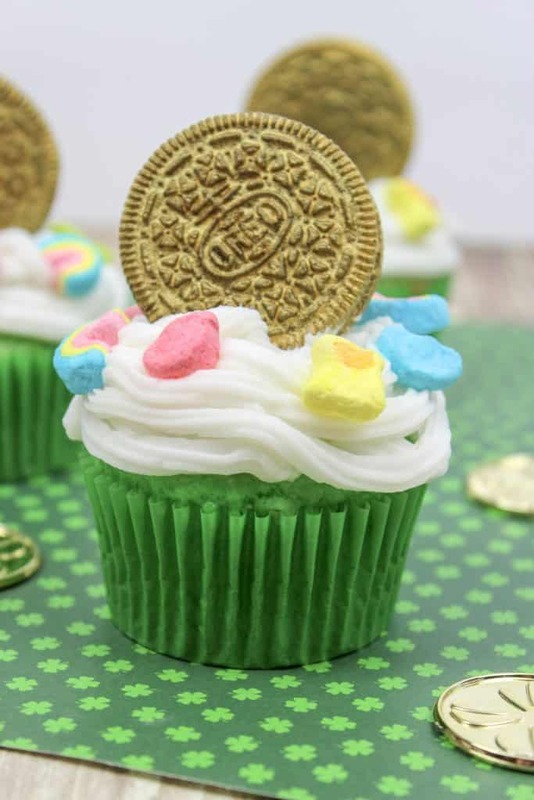 How creative is this St. Patrick’s cupcake recipe? I love the addition of the rainbow on top. This is the perfect recipe for the kids! 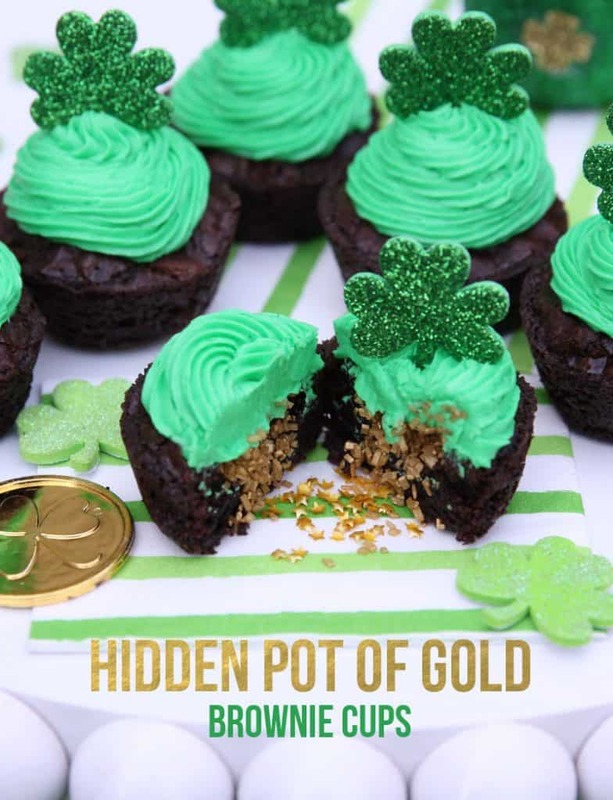 I’m in love with this recipe, because I love the hidden pot of gold inside the cupcakes. This is such a great idea for a St. Patrick’s Day party. 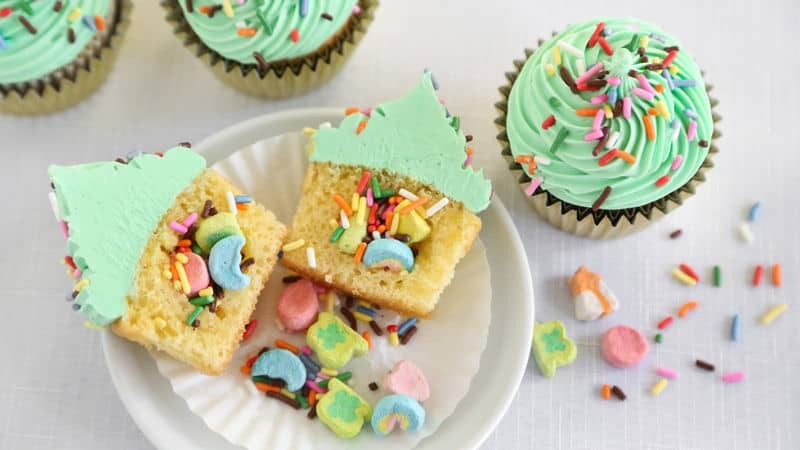 Another hidden surprise St. Patrick’s cupcake recipe! This one had rainbow sprinkles and Lucky Charm marshmallows hidden inside. We have more chocolate and mint with this last cupcake, which I’m not complaining about since it’s one of my favorite combinations! 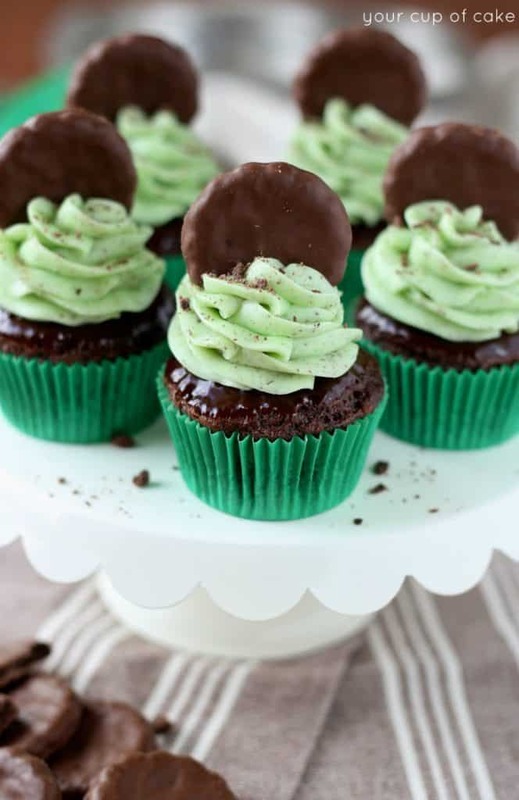 Andes mints is probably my favorite candy, so I love how one is decoratively placed on each cupcake.